Education : SMK - D3 Mechanical Engineering. Strong understanding about basic CPOB. Hands-on technical experience in operating machine is preferred. JobsCDC.com now available on android device. Download now on Google Play here. Please be aware of recruitment fraud. The entire stage of this selection process is free of charge. 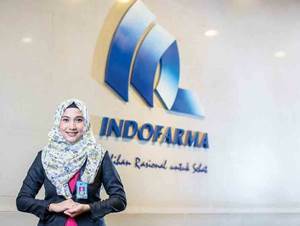 PT Indofarma (Persero) Tbk - Recruitment SMK, D3 Operator Indofarma August 2016 will never ask for fees or upfront payments for any purposes during the recruitment process such as transportation and accommodation.